The Sleeping Duck mattress lets you swap foam layers for a personalised feel. This modular design comes in both medium and firm. From there, you can request a soft layer if the mattress is too hard, or a firm layer if it's too soft. Side and back sleepers love this feature, since they can adjust for their level of support and body contour. However, our review of the Sleeping Duck found it is more expensive than competing foam mattresses. This is likely due to the custom firmness feature and high-quality Australian made foam. 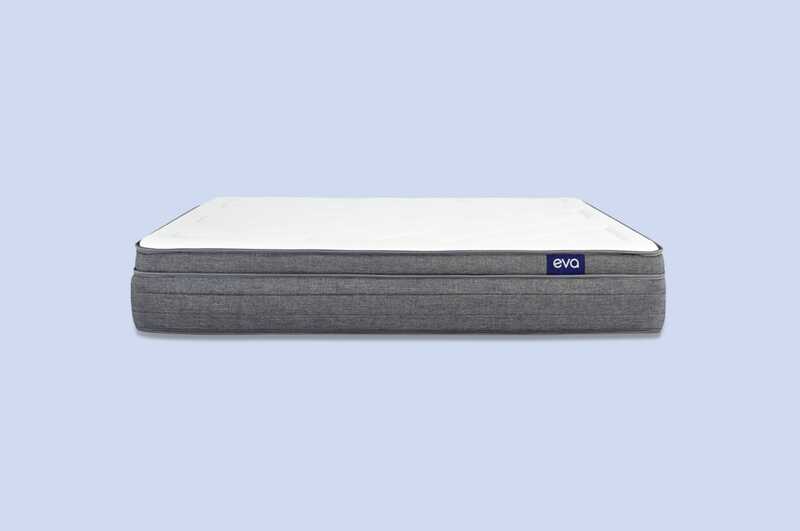 Recently awarded the top mattress in independent testing by CHOICE, we believe the price may be worth a good night's sleep. 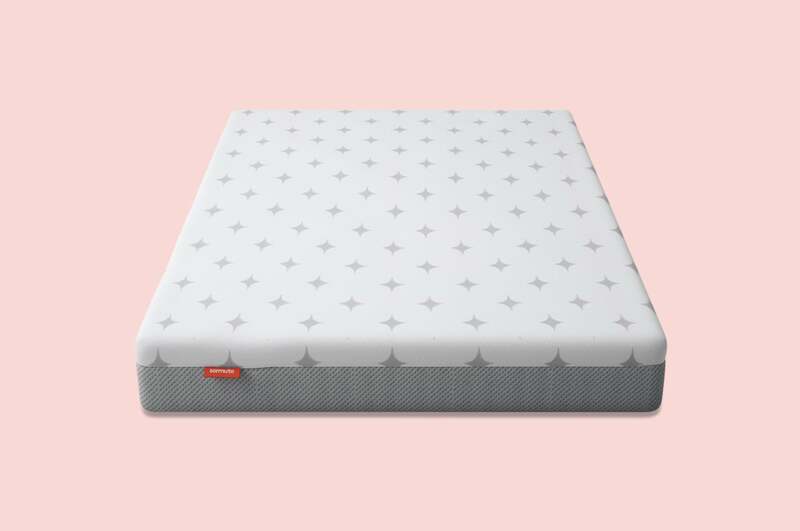 This in-depth review is designed to help you get a feel for the Sleeping Duck mattress. In it, you'll find information from real customers about the feel, firmness, sleep quality, materials, and more. For all reviews, we work hard to share a range of customer opinions and use unbiased data. By the end, you'll know if this mattress is the right choice for your sleeping style. How does the Sleeping Duck mattress feel to sleep on? Designed from a combination of foam and springs, the Sleeping Duck is made for sleepers who want the best of old and new. The updated spring technology is a throwback to traditional designs, but the modular foam layers keep it fresh. This innovation lets you choose an ideal firmness level. You start with a medium or a firm feel. Then, if you need to switch things up during the trial period, the Sleeping Duck team works with you. They'll send a new layer that's easy to swap out for a softer or firmer feel. 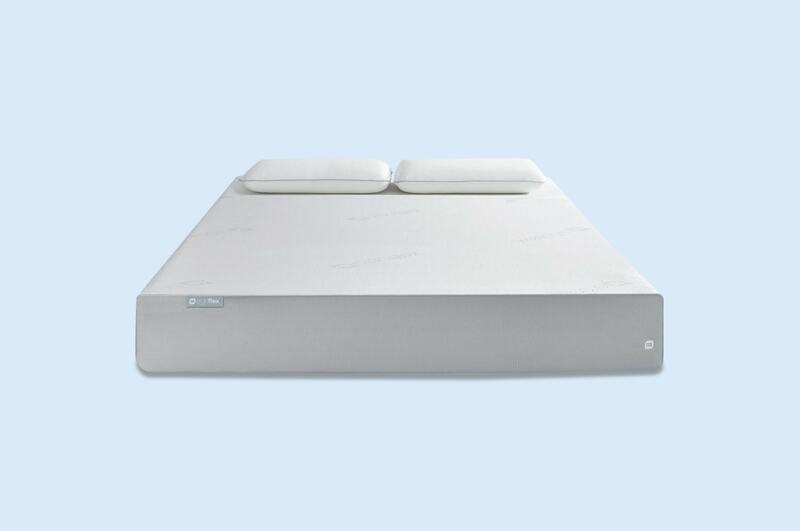 Since it's easy to change the firmness level, a majority of sleepers find the Sleeping Duck comfortable. Although there are exceptions. The firm is often too hard for stomach sleepers since it puts more pressure on sensitive parts. The medium firmness suits average to large stomach sleepers, but may be too firm for smaller sleepers. However, most side sleepers enjoy the medium firmness because it hugs the body while supporting hips and shoulders. Heavier side sleepers can upgrade to the firm option if they sink too deep. Back sleepers are most satisfied with the mattress because they usually need more support. The combination of Hyper-Adaptive™ foam, high density foam, and base springs supports the lumbar and cradles the neck. It's rare for back sleepers to enjoy a soft mattress because their hips sink and cause back pain. If you prefer this position, you can't go wrong with the adjustable medium or firm option. Lucky duck. Rolling out of bed in the morning is easier on the Sleeping Duck. This is largely due to an increased edge support and spring base, which has more bounce than foam. While you will sink into the top three foam layers when sitting on the edge, the spring base will kick in to prevent extreme sinkage. 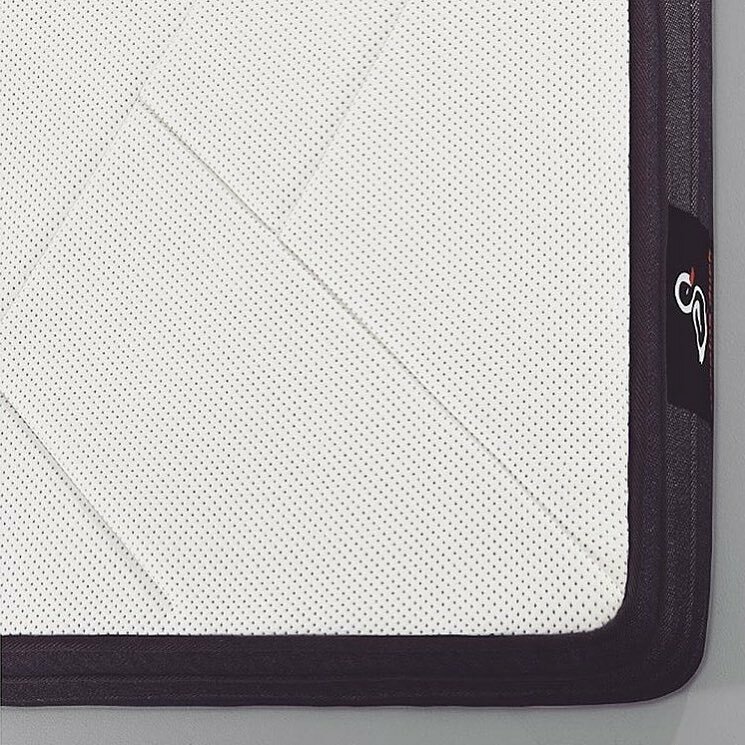 Plus, the layer of Hyper-Adaptive™ foam is naturally bouncy and will support your bum better than a full memory foam design. 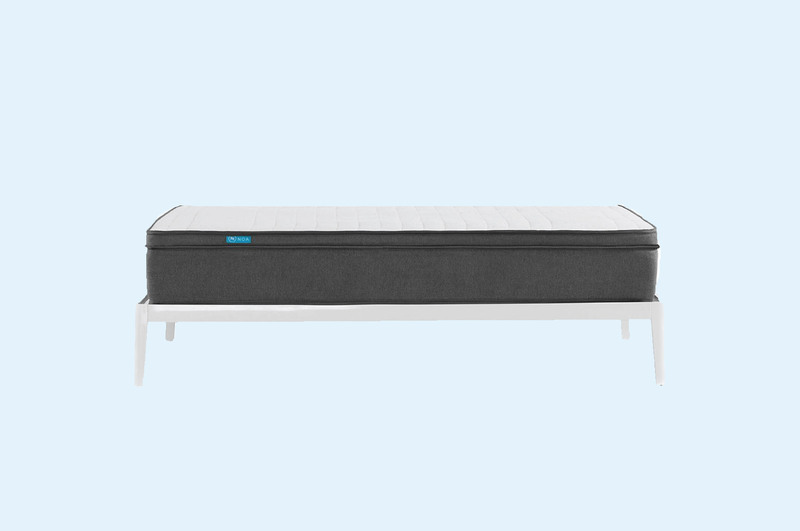 Overall, the mattress is designed to support two people up to 140 kilograms each. Due to the bouncy foam and springs, there will be some motion transfer across the mattress. However, the top foam layers will significantly reduce movement. If you're concerned about motion transfer, you can test it out during the trial period. What is the Sleeping Duck mattress made from? The Sleeping Duck's construction is in a class of its own. Below, we look at how the makeup and materials contribute to the mattress' support, comfort, firmness, and weight. Looking under the layers, it's easy to see what makes this mattress unique. 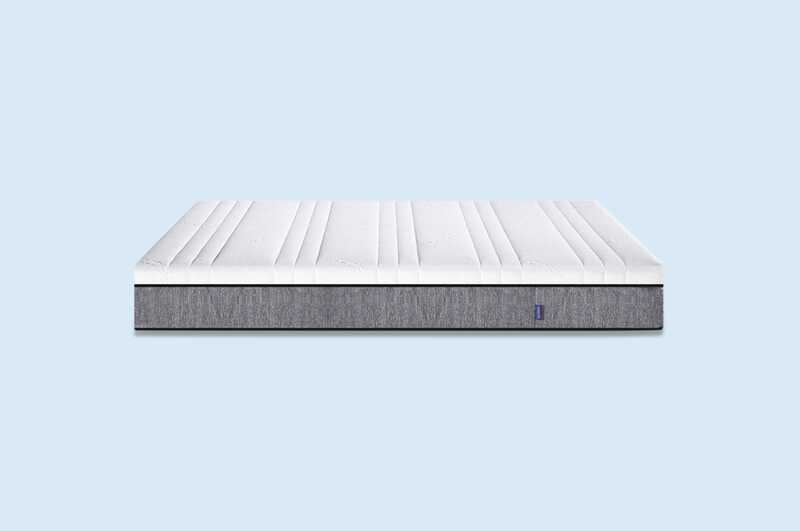 It uses a combination of comfort foam, high-density foam, and pocket springs to support sleepers. The top layer is made for comfort, and features their newly developed Hyper-Adaptive™ foam. Although this foam doesn't contain any latex or memory foam it improves on the combination, providing increased pressure relief, buoyancy and breathability. As you move, it rebounds weight and shapes to your position. Plus, it's all Australian made. Underneath the comfort layer is the firmness layer. 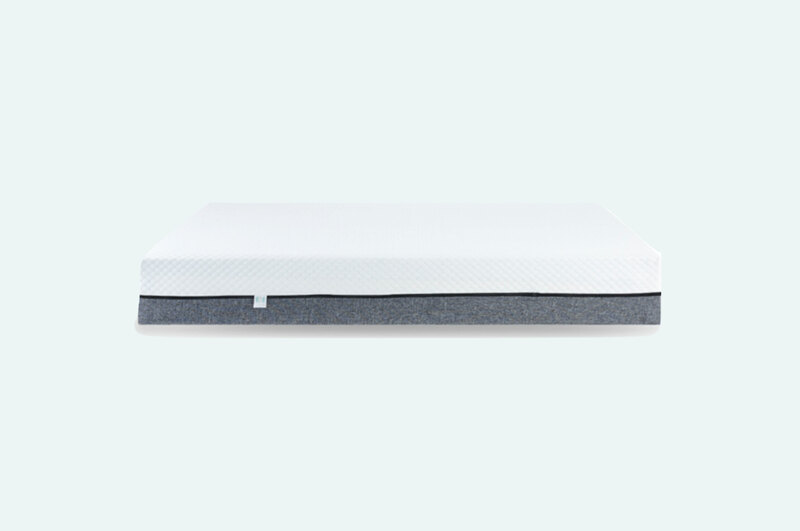 This high-density foam layer offers most of the mattress' support. It's also how you can adjust for an ideal firmness. If you prefer a firm feel, this layer will be dense foam. The medium feel will come with a more absorbent foam. Rounding out the Sleeping Duck is a bottom support layer. Made of individually-wrapped springs, this 5 Zone Support layer supports the top layers and reduces motion transfer. By acting independently, the springs adjust to your body without disturbing a partner (or snoozing pet). Wrapping the interior layers together is the bamboo Sleeping Duck cover. Bamboo is naturally breathable, silky, and antimicrobial—a perfect fabric for the changing Australian climate. The fun stitching pattern even gives the top a luxury feel. The cover also features a zipper that allows the top layer to unfold. This makes it easy to switch foam layers and clean the cover. Changing layers is easy, but moving the Sleeping Duck may require help. The mattress arrives compressed in box, so you can navigate stairs and doors. However, the Queen size is 48 kilograms and 30 centimetres thick. Consider what size you need and have someone on hand to help after delivery. Sleeping Duck does not offer an in-home setup service, but they will help coordinate delivery date and time. How much does a Sleeping Duck mattress cost? As mentioned above, the Sleeping Duck is not the most affordable foam mattress option. It's unique hybrid design, natural materials, and customisable firmness levels contribute to the cost. Although it's more expensive, it has a major perk. Plus, you can try it out in-person at Sleeping Duck's showrooms in Sydney and Melbourne. Compared to the competition, the Sleeping Duck is pricier but offers a unique construction. All sizes come with free shipping and free returns across Australia. Any returns or foam swaps are coordinated by the customer service team. With every Sleeping Duck, there is a 100-day trial period. 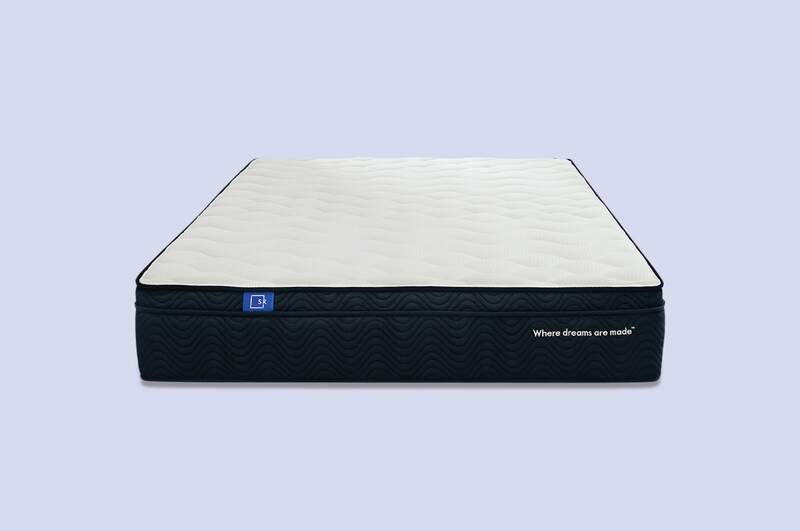 During this time, you can ask for a different foam firmness and return the mattress for free. Afterwards, you have a 10-year warranty that will cover any excessive imprints or manufacturing flaws. Like other companies, the warranty does not cover general wear and tear, odors, discoloration, or changes in firmness. Who is the Sleeping Duck mattress best for? The custom firmness feature makes this mattress the perfect choice for a variety of sleepers. However, back and side sleepers will likely find the best balance of comfort, support, and bounce. Small stomach sleepers may want to explore other mattress, or bring the medium firmness home for a trial period. All in all, the Sleeping Duck is great for sleepers who want a hybrid design and are worried about an all-foam or all-spring option.